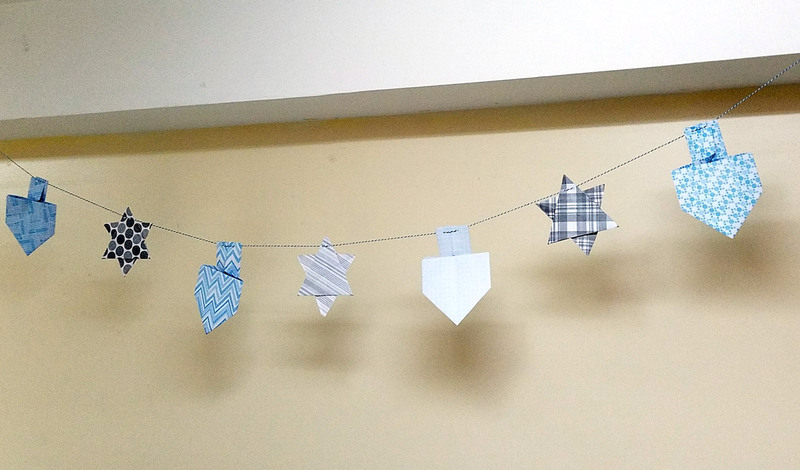 I made this origami Hanukkah garland last year as a simple Hanukkah party decor idea. 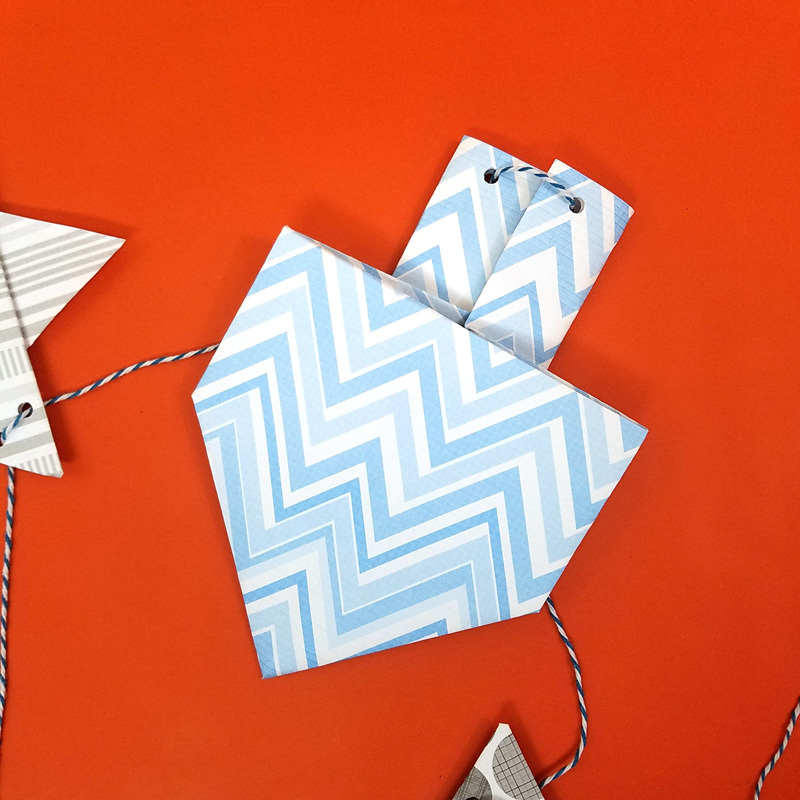 You can make it too using things you already have, and in a short amount of time! Disclosure: this post contains affiliate links. Last year’s Hanukkah party had me going all out. I designed special dreidel treat boxes. I folded some pretty dreidel napkins. And of course, I made my favorite golden potato latkes – and a spaghetti squash version too! And then, on the day of the party I got the flu. Wonderful! 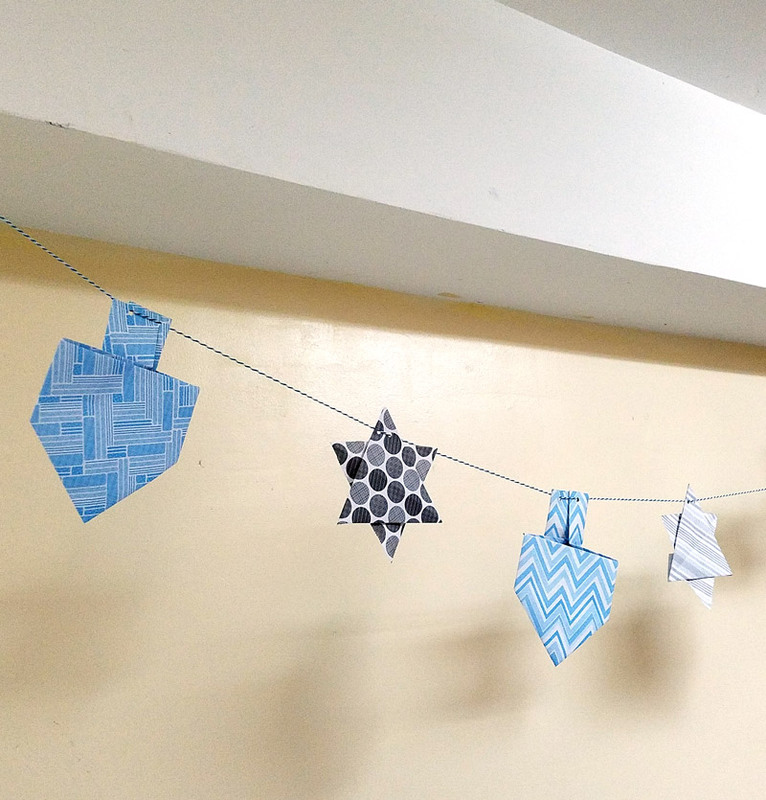 Anyway, this garland is really easy to make – just create some origami stars of David and dreidels, string, and hang. The kids can definitely get involved – they might even be able to do it all on their own! I used sheets of 12×12 inch scrapbook paper instead of origami paper to get a substantial size. 2. 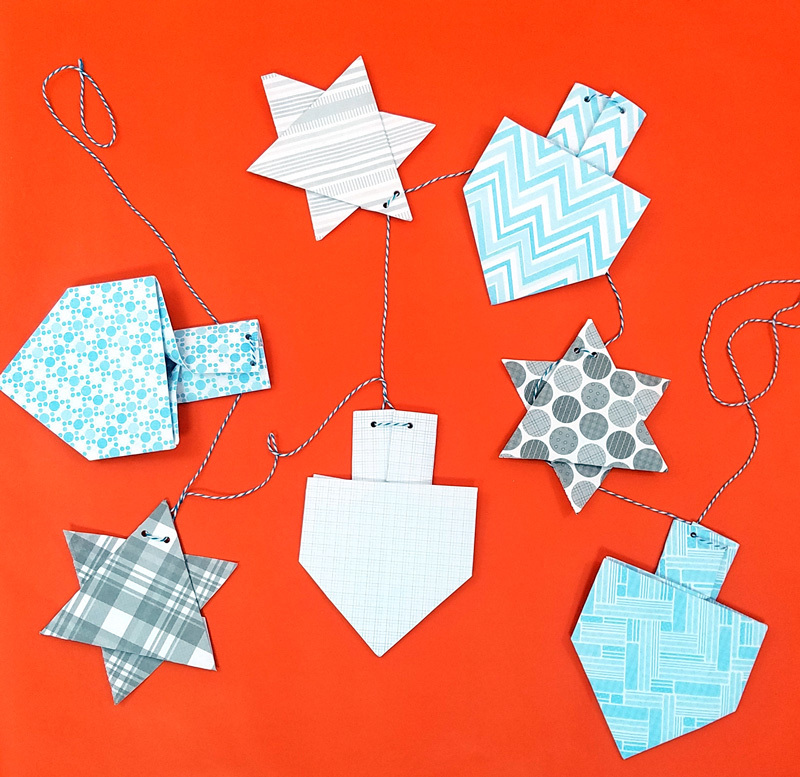 Punch two holes near the top of each dreidel and star. 3. Thread your string/twine through from back to front, and then back again. You don’t need to tie it – it should hold in place on its own. 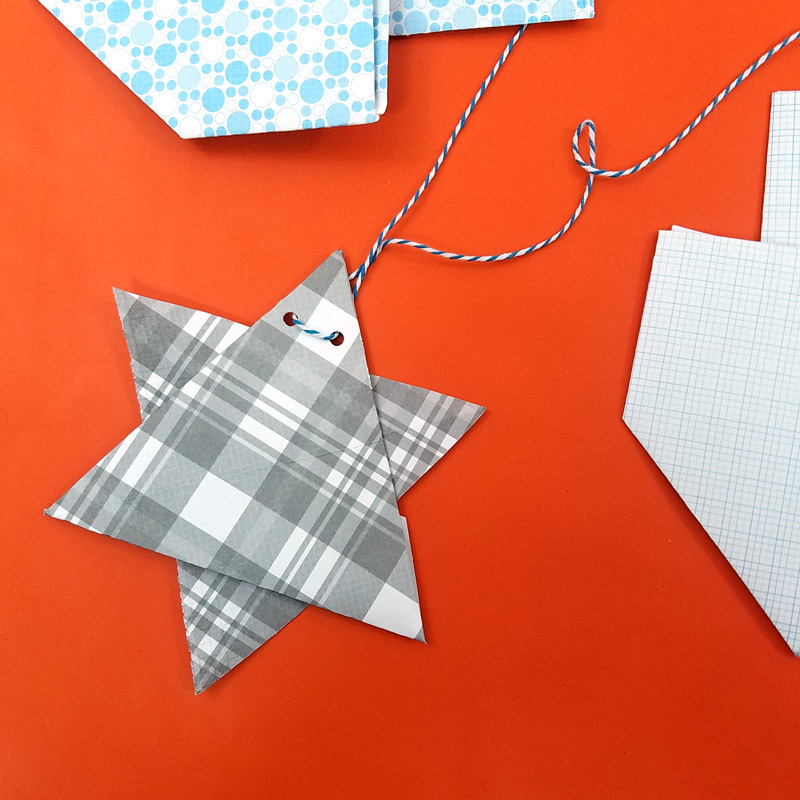 What is your favorite craft for Hanukkah decor? Comment below! Want more? Read the inspiring story about how Melissa celebrated Hanukkah in Japan on Multicultural Kid Blogs. 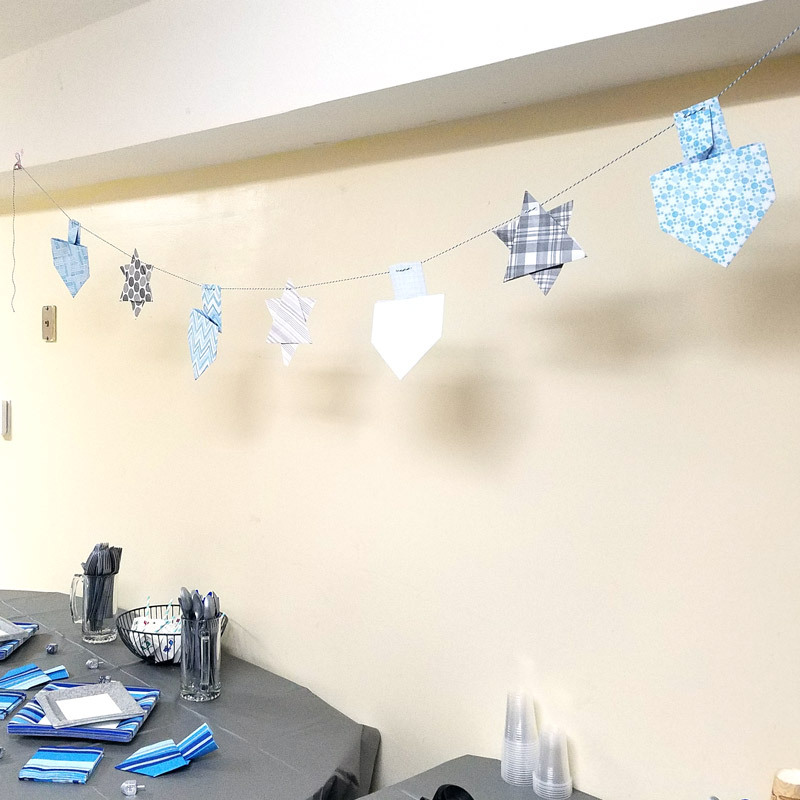 Crafts for Adults, Crafts for kids, Jewish holidays, Kids, Paper Crafts, Party crafts, Winter crafts. Bookmark.